See the smash hit family movie - now own the book that features in the film! This spectacular limited edition collector's item contains six stunning illustrated pop-up scenes that have been taken directly from the smash hit family movie and lovingly recreated for Paddington fans. 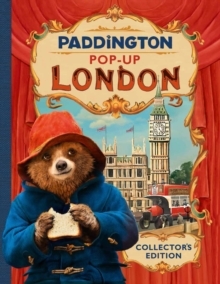 Now you too can be transported, just like Paddington and Aunt Lucy, into a glorious paper-engineered world and visit iconic London sights including St.
Pauls, Big Ben, Tower Bridge and the Houses of Parliament. A touching celebration of London, family and, ultimately, of belonging.